Part of our robust galvanised steel St Ives Traditional exterior lighting range, the Bulk Head Light has a distinctly maritime feel. 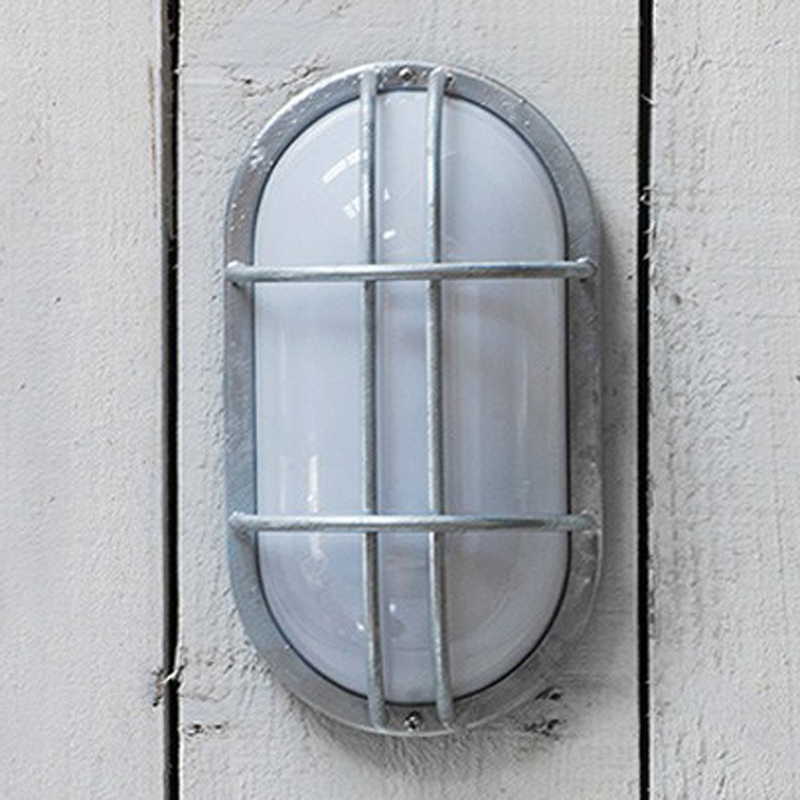 Inspired by the lights traditionally used on the external walls and corridors of ships, this wall-mounted light is particularly good for lighting up outdoor areas such as pathways, garages and utility rooms - although it would also look great in any indoor space where you want to go for the full-on industrial feel. The hot-dipped galvanised steel body and polycarbonate shade are completely weatherproof, making the St Ives Bulk Head Light suitable even for coastal locations. The light’s slightly rough finish and appearance of runs are as a result of the hot-dipping process and are an intrinsic part of its look. Halo Spherical E27 replacement bulbs also available.